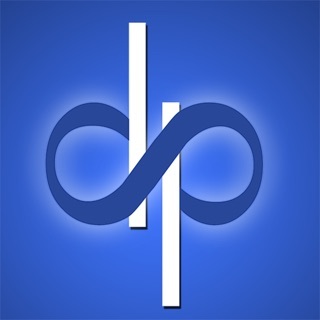 The Kessler app is an essential tool for time lapse photographers and filmmakers. 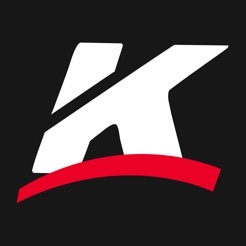 With easy access to calculators, product manuals, and training videos, the Kessler app represents a toolkit and quick reference guide, all in the palm of your hand. 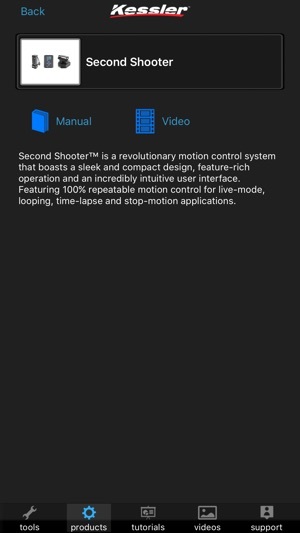 The Kessler app is targeted at both owners and non-owners of Kessler camera motion products, providing useful reference tools for time lapse shooters in general. 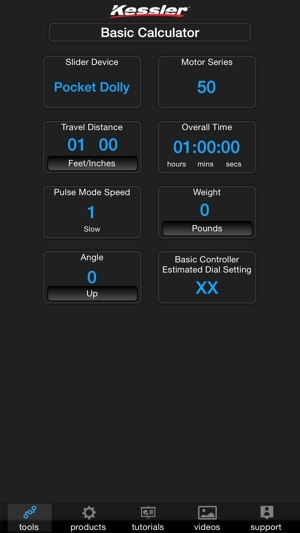 The built-in time lapse calculator will compute the total number of images based on exposure, delay, and overall time. The file size calculator allows you to select your camera type and file type. It then computes the average per image size along with the total size for the calculated time lapse sequence. The play back calculator determines your video clip length based on your selected playback frame rate and calculated time lapse. The motor speed calculator will estimate the Kessler Basic Controller dial setting to achieve more accurate motion control. Selectable variables include slider device, motor series, travel distance, overall time, pulse mode speed, payload weight, and slider angle. The included level tool allows you to quickly level or set angles of devices in both landscape and portrait mode without leaving the Kessler app. 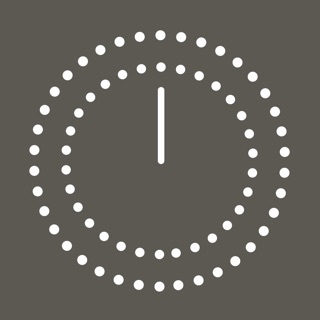 Flashlight Mode (iPhone only): working in low light? 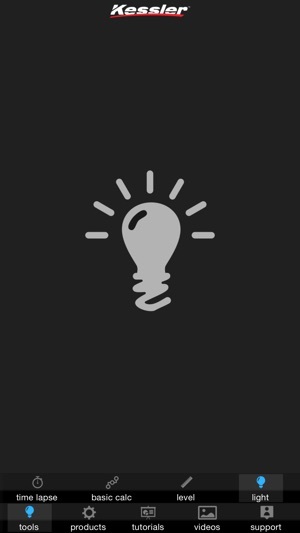 Quickly flip your iPhone's flash on without leaving the Kessler app to shed some light on your work. The Kessler product reference library contains descriptions, manuals, and videos for the Kessler family of camera motion equipment. It covers the dolly, slider, motion control units such as the ORACLE, elektraDRIVE motors, Hercules Head, K-Pod tripod system, KC Camera Cranes and jibs, Shuttle Pod linear motion system, and the Revolution heavy duty pan/tilt head. The tutorial video library contains an ever expanding selection of training video resources related to camera motion control. From time lapse calculations and setups to shooting stop motion video, the tutorial video portion of the app will assist in getting up and running with your Kessler gear. In addition to the tutorial videos, you can also browse the general video section to view entertaining and informative videos produced by Kessler shooters around the world. This collection features some of the most talented people in the camera motion industry talking about their specific usage setups. Kessler shooters produce creative videos that are packed full of great tips and real world examples. Need further assistance? Help is literally a click away with the support tab of the Kessler app. You may place a call from your iPhone directly to the friendly support staff. Or if you prefer, you can also use the email link to contact us. We also provide links to the Kessler Products in an iOS friendly shopping cart for quick browsing and purchasing. Craving more? Use the Kessler University link to hop on the KesslerU site for an ever evolving collection of articles and videos. Thank you for taking the time to learn more about the Kessler app. If you have any questions, comments, or suggestions, please don’t hesitate to contact us. Brought to you by Kessler. * Fixed issue with loading manuals under iOS 8. Used to be helpful but I find it's buggy and simply won't work for me anymore. Entering time lapse settings is unresponsive. 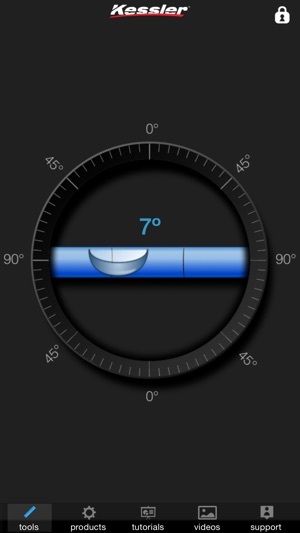 Also the button design is a bit cumbersome on the time lapse page. The set button is on the very top and really small. I love Kessler and use their gear but this app is not holding up. If I change the playback frame rate to 30fps and set it, then I go to the flashlight tool, when I return to the time lapse settings they're reset to defaults! Use this all the time in planning time lapse sequences! Simple and accurate. © 2012-2015 Kessler Crane Inc. All Rights Reserved.